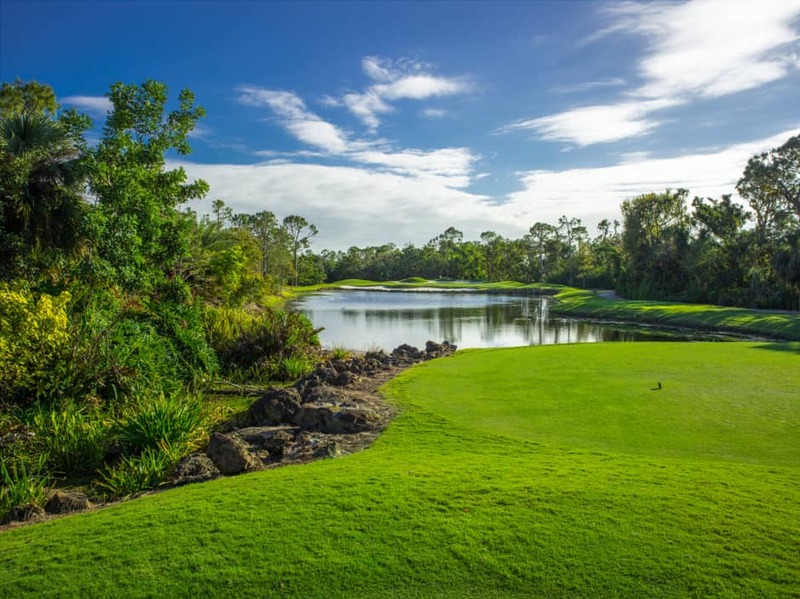 Named one of the “Top 5 Toughest Private Golf Courses in Florida” by Florida Trend magazine, the Pine Course challenges the golfer with its rolling berms and dramatic elevation changes. The exhilarating 7,206-yard course will keep you coming back for more. The challenge at hand is equaled in beauty by the pine and cedar hammocks and surrounding natural preserves and lakes throughout the striking landscape. A “Top 50 Most Distinctive Course in the Southeast,” as noted by Golfweek Magazine and the “Best of the Gulf Shore Golf Course,” deemed by Gulfshore Life Magazine, the Pine Course is the crown jewel in the trilogy of the Grey Oaks courses.